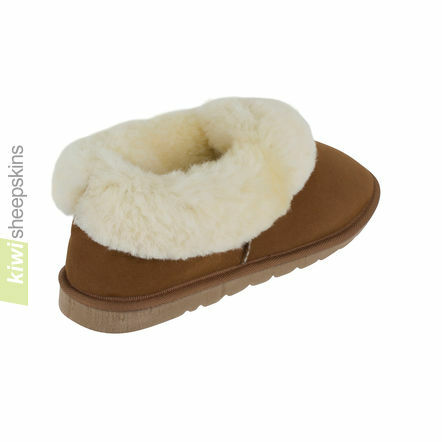 Our superior quality double-face sheepskin slippers have been crafted with an extra-wide collar around the whole ankle area, making them wonderfully warm and comfortable to wear. 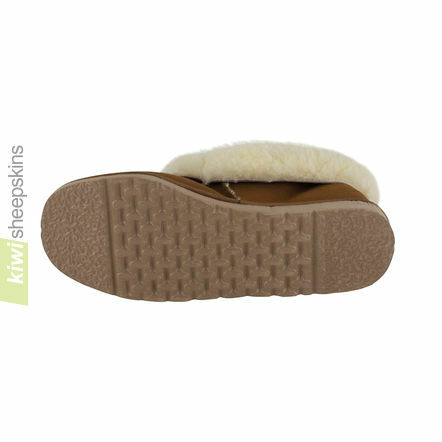 IMPORTANT: The sizing of the Madison slippers runs small, generally go up a full size from your usual shoe size. 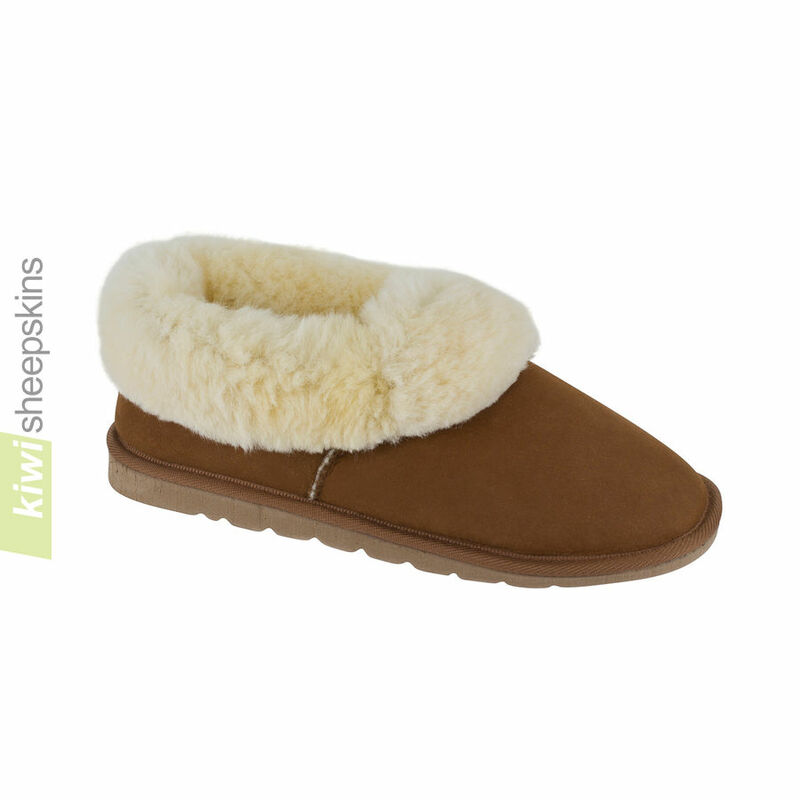 The Madison slippers run SMALL for their size especially if you have a high instep. Generally order a full size larger than normal. For Men's sizes in particular, you can go up 1.5 sizes if you're a half size (eg. US9.5 to US11). 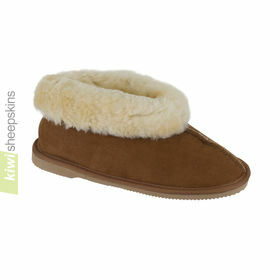 Comments from customers who have purchased these sheepskin Madison slippers. 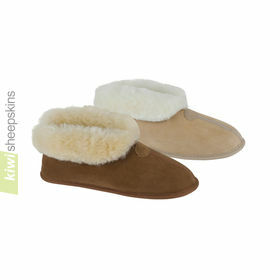 I just received my Madison Sheepskin slippers and I am absolutely delighted with the product. The slippers fit perfectly! 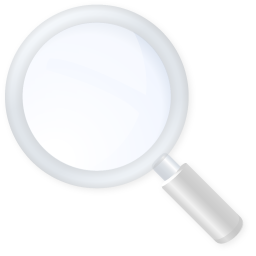 But, besides a well made and attractive product is the unbelievable postage turnaround time. I'm still overwhelmingly in awe-I ordered these slippers on 4/16 hoping to have them in time for a surgical stay in hospital on 5/4. Today is 4/20 and they are ON MY FEET as I type! I live in California USA. I ordered a product in the states on the same day which has not arrived yet! WTG New Zealand and WTG KIWI!!! I came home from work today to find my package had arrived. I was thrilled, and even more delighted after slipping into my slippers. I absolutely LOVE them. They fit perfectly, are beautiful, and warm. I cannot wait for the weather in Boston to get colder so I can put them to the test. I just wanted to say a massive THANK YOU for my 'truly, I can't take them off, delicious slippers!!' Also to mention that the postal service was amazing. 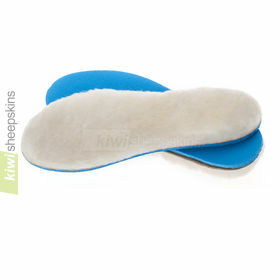 I placed the order with you on Thursday and received the slippers the following Monday. I can't get post to the UK from France as quickly as that!!! All in all, a tip top service and product - Merci Beaucoup! I shall recommend you to others. Best regards from a very satisfied, toe snuggled girl living in Northern France where the winter has set in!